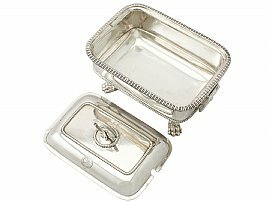 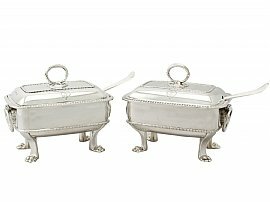 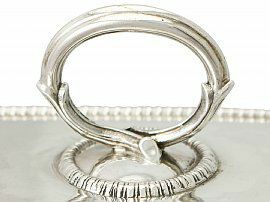 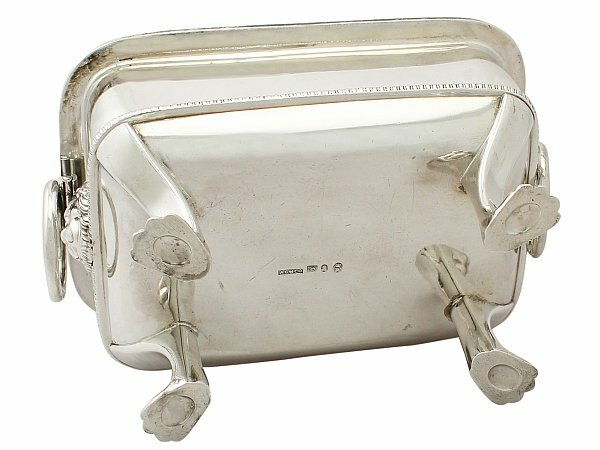 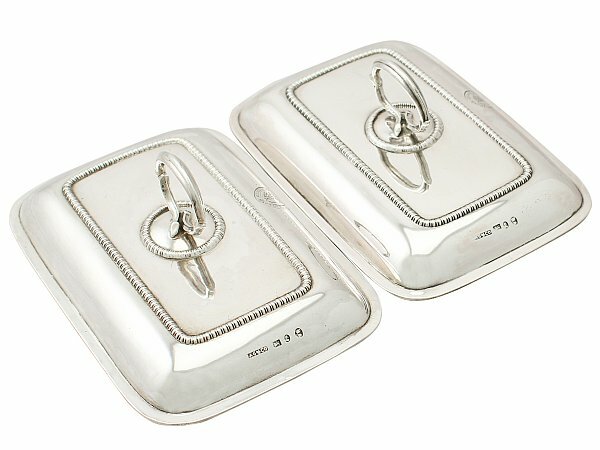 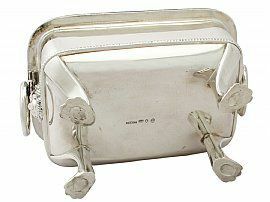 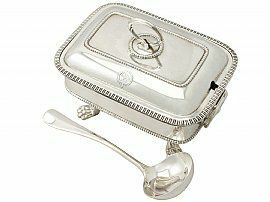 These exceptional antique George III sterling silver sauce tureens have a plain rectangular rounded form. The body of each tureen is plain and embellished with an applied gadroon decorated border to the lower portion and upper rim. 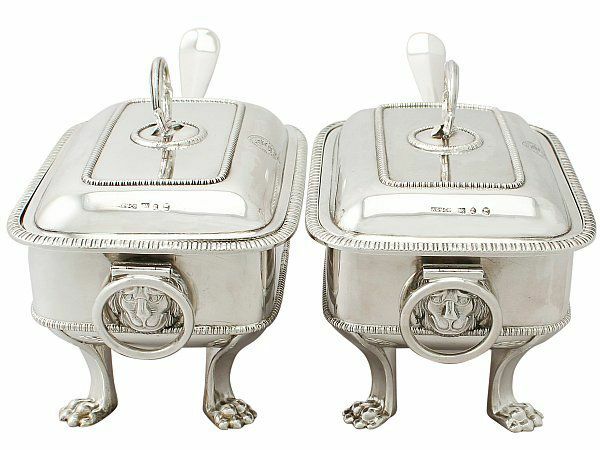 These impressive silver tureens retain the original hallmarked push fit covers ornamented with further applied gadroon decoration to the upper plateau in addition to the base of the impressive reed decorated handle enveloped with leaf designs to the terminals. 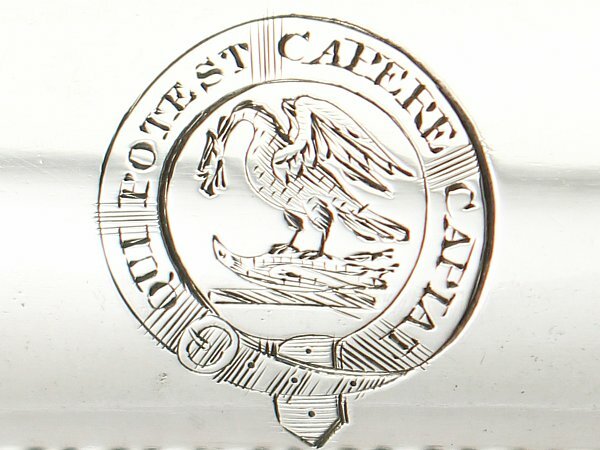 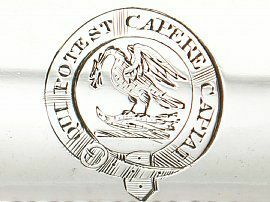 The surface of each cover is embellished with a contemporary bright cut engraved crest* depicting a falcon holding a partridge between her feet and encompassed with the belted motto 'Qui potest capere capiat' - Let him who can take, take. 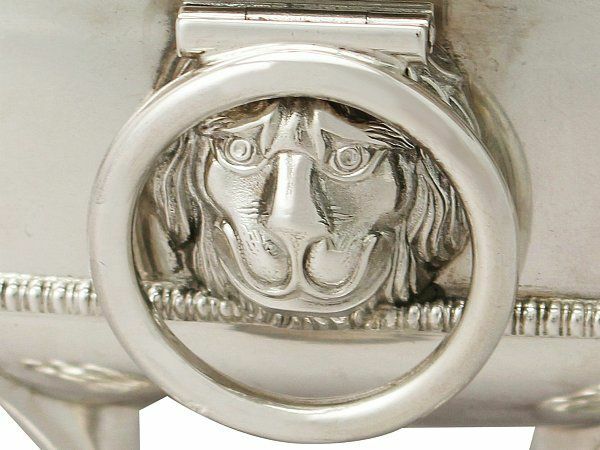 Each Georgian tureen is fitted with two fine and original ring loop handles above an impressive lion mask ornamentation. 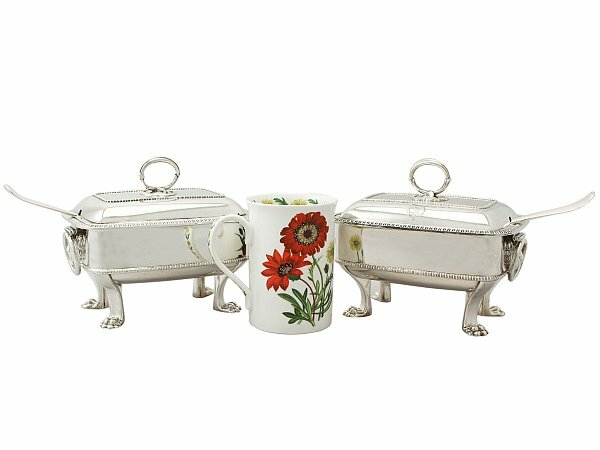 Each tureen is supported by four impressive shaped legs with paw feet. 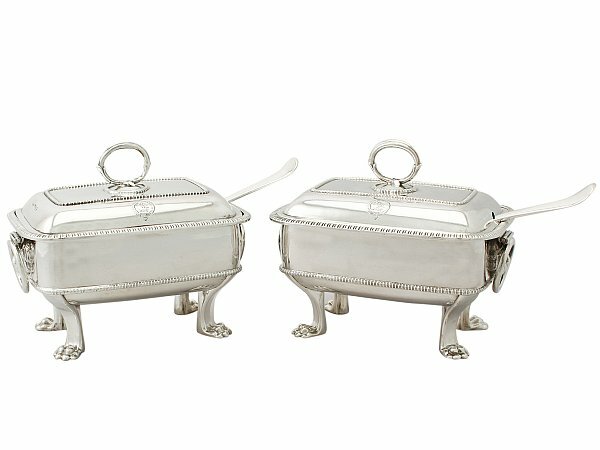 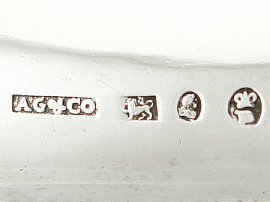 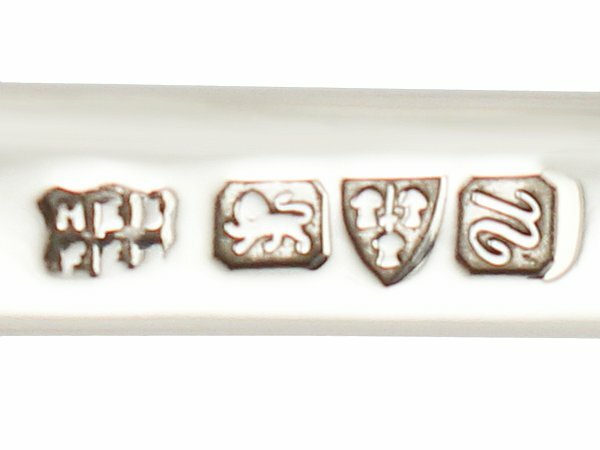 These sauce tureens are presented with fine and impressive associated Chester made, antique sterling silver sauce ladles crafted in the Hanoverian rat tail pattern** by Herbert Edward Barker & Frank Ernest Barker of Barker Brothers. 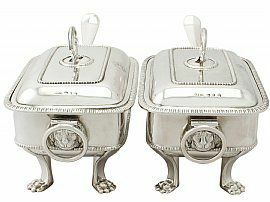 These antique Georgian sauce tureens are exceptional provincial examples. 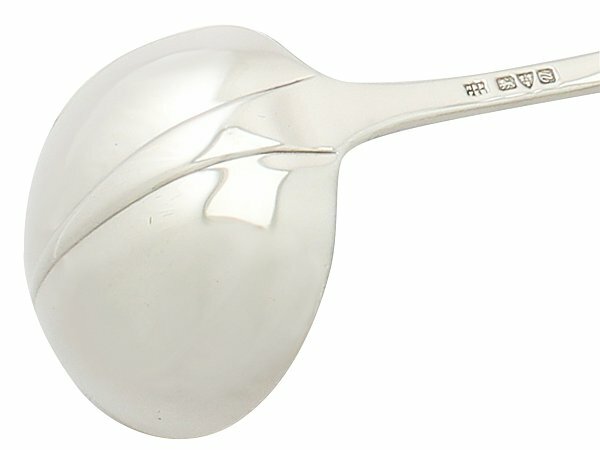 ** An alternative pattern of sauce ladles can be supplied upon request. These antique silver tureens are an exceptional gauge of silver, exceptional quality and in exceptional condition. 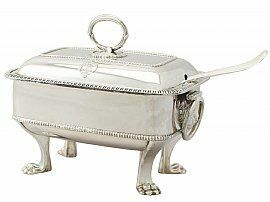 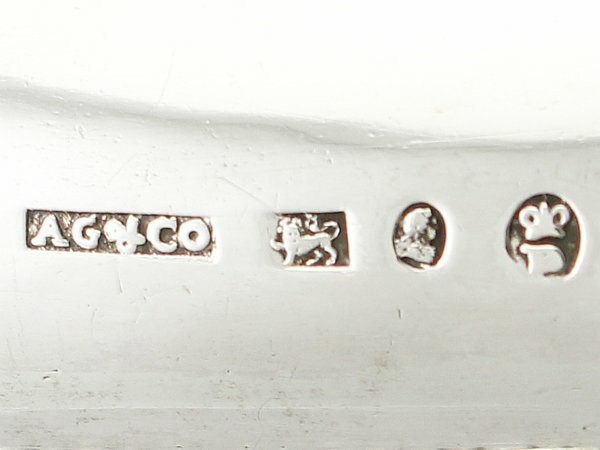 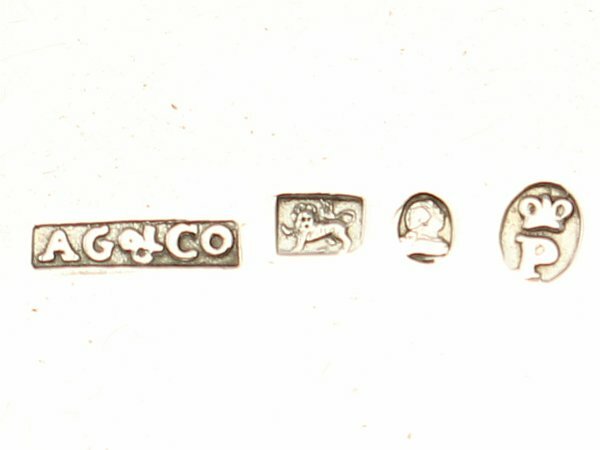 Full hallmarks struck to the underside of each tureen and surface of each cover are all very clear. 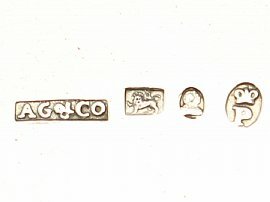 Reflections in photographs may detract from the true representation of these items of Georgian silverware.